Blackboard allows students access to their online courses and some components of hybrid and traditional courses as well. Much like a traditional classroom, Blackboard offers features that allow students to learn course material through lectures and class discussion, to take exams through timed assessments or submitted assignments, and to interact with their teacher and other students through email and class discussion. Check out the Blackboard Youtube channel for lot’s of great information and tutorials. Logging in to Blackboard: How to Access an Online Class? Click here to log in to Blackboard. Your Blackboard username is your MyCalhoun C# (i.e. C012345678). Your initial password is “cal” plus the last 5 digits of your MyCalhoun C# (i.e. cal45678). You will see a list of all the courses you are currently registered for, as well as a list of the courses you were registered for last semester. Click on the one that you wish to access. If you need log-in assistance with Blackboard, please e-mail the IT Help Desk at blackboard@calhoun.edu or call them at 256.306.2700, option 1. It is important to become familiar with your Blackboard course and the way your instructor has organized it. Your instructor will have an orientation available for you to view on the first day of class, so do make sure that you check that out right away. The orientation will provide you with information about the instructional tools the course will use and give you specific instructions for moving through the course material in an organized, systematic, and successful way. If you have any questions about the course set-up and the course policies, please contact your instructor immediately. Blackboard Features: What Instructional Tools Does an Online Class Use? Course Content: This is where your instructor will offer easy access to some of the most important course material. Syllabus: Your ‘contract’ for the course, the syllabus lists course policies and important course schedule information. Announcements: Your instructor alerts students to new and important course information. Assignments: This feature provides information about assignments and due dates. It also allows you to submit your work electronically. Assessments: Assessments are quizzes and tests. Email: Bb allows students and instructor to email within the course itself. Discussions: Many instructors use discussions to help enhance learning of course material. You can access the discussion questions, and post your responses to them, in this area of the course. Blackboard has videos and supplemental materials available online for users who would like additional instruction. 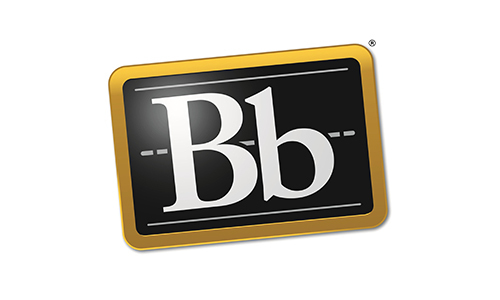 Beginning in the Summer 2017 semester, Calhoun Community College will be using Blackboard Learn 9.1 with Service Pack Q4 2016. Blackboard has provided guides outlining the features that faculty and students will find in Blackboard 9.1 SP10. Other Questions: Who Else Can Help?